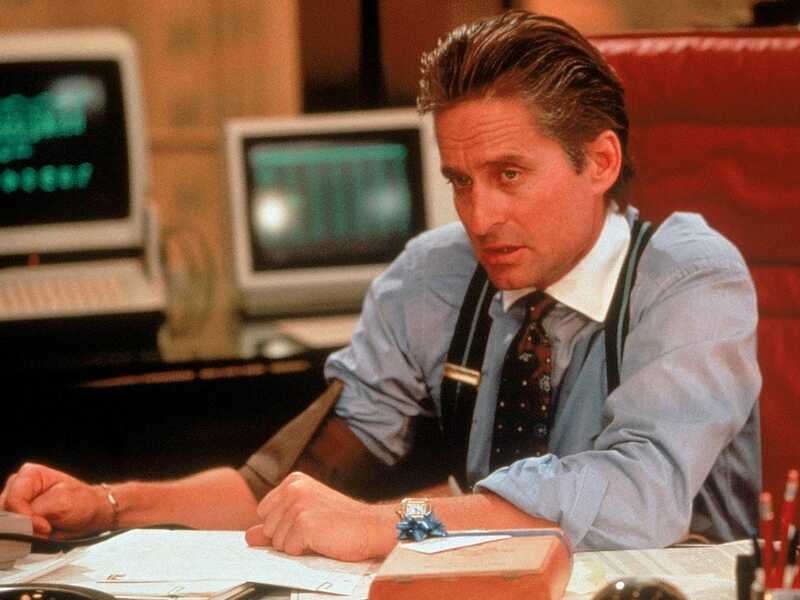 The character Gordon Gekko in the movie "Wall Street"
Asher Edelman, an investor who was one of the inspirations for the nefarious corporate raider Gordon Gekko in the movie "Wall Street," made a surprise presidential endorsement on CNBC's Fast Money last week: He came out swinging for democrat Bernie Sanders. "Well, I think it's quite simple again. If you look at something called velocity of money, you guys know what that is I presume, that means how much gets spent and turns around. When you have the top 1% getting money, they spend 5-10% of what they earn. When you have the lower end of the economy getting money, they spend 100-110% of what they earn. As you've had a transfer of wealth to the top and a transfer of income to the top, you have a shrinking consumer base basically, and you have a shrinking velocity of money. Bernie is the only person out there who I think is talking at all about both fiscal stimulation and banking rules that will get the banks to begin to generate lending again as opposed to speculation." 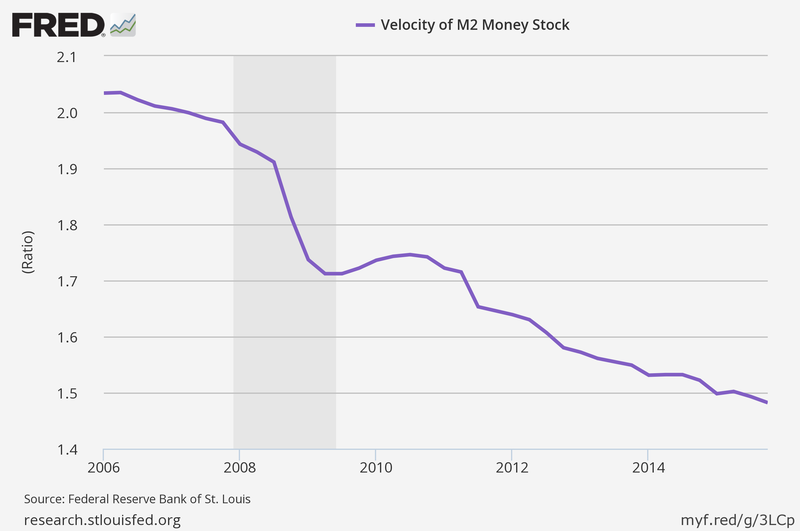 Velocity of money is a central concept in macroeconomics. Velocity represents how often the average dollar is used in a transaction in a given period of time. 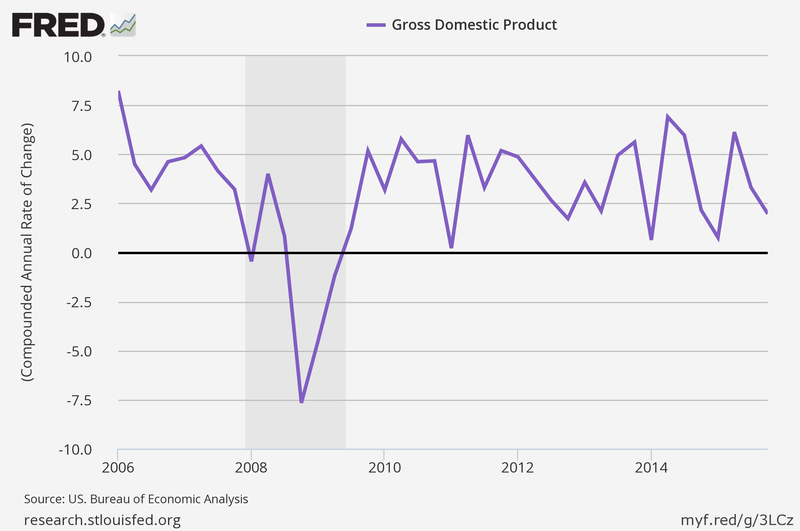 A higher velocity of money implies more economic activity going on. Velocity is a part of a very basic identity relating money to output: MV = PQ. 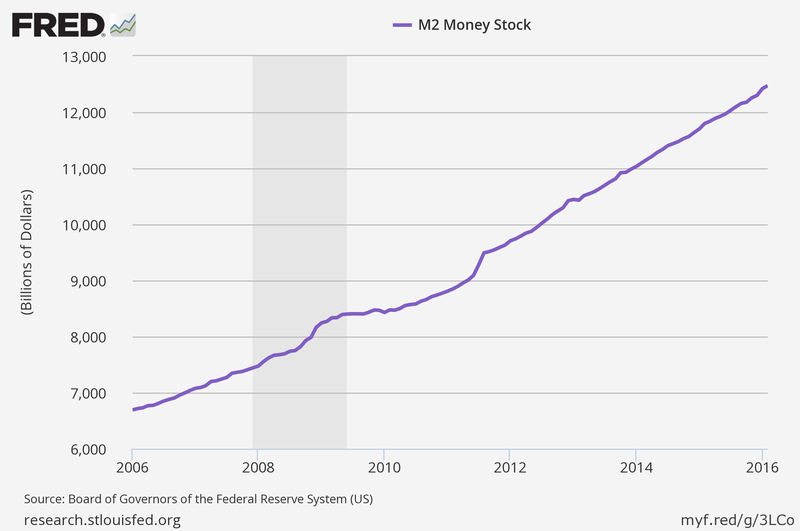 Here, M stands for the monetary base — the total amount of money in an economy. V is the velocity, P is the average price level of the economy, and Q is the quantity of things produced and sold. Put all this together, and you get the product of the monetary base and velocity equaling the price level times quantity. In other words, the total volume of transactions in an economy is represented on the left, and the total output of the economy is represented on the right. By definition, these two sides of the equation more or less have to be equal. That equation is at the heart of much of what the Federal Reserve and other central banks have tried to do in the years since the financial crisis: By lowering interest rates to near zero and taking extraordinary measures like quantitative easing, central banks aim to increase the amount of money in the economy, M.
Ideally, that moves the other side of the equation, generating a modest level of inflation by increasing the price level P, and increasing employment and the amount of stuff that gets made, Q. Unfortunately, that process doesn't work if at the same time you're increasing M, V winds up going down. In that case, the right hand side of the equation that we're trying to boost might not move very far at all. It's this situation that concerns Edelman: For all of the efforts made by central banks to dramatically increase the amount of money in the economy, velocity has collapsed, and the real economy has grown at a disappointingly slow rate. So Edelman suggests — as have economists like Paul Krugman — that governments need to do more direct economic interventions in the form of more generous fiscal policy such as tax cuts or infrastructure spending. Edelman also implies that further banking regulation could motivate more loans to be made to consumers and businesses. Given those views on the role of the government in the economy, it's not so surprising after all that the man who inspired a movie character who famously said "Greed is good" would be supporting a self-described socialist for president.